Democratic state representative says, "punishing sales tax hike on poor and working families is not the way to deliver real property tax relief"
Texas Gov. Greg Abbott, Lt. Gov. 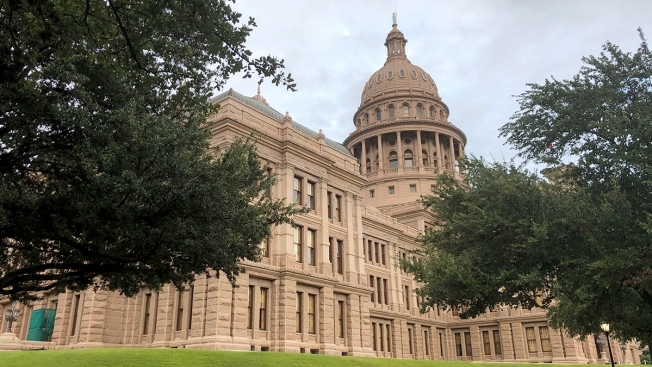 Dan Patrick and Texas Speaker Dennis Bonnen are supporting legislation Wednesday that pushes for a sales taxes increase to help legislators deliver on simultaneous promises to boost money for education and cut property taxes. The plan for a one-penny sales tax increase, which would be the first sales tax increase in Texas in three decades, would raise the statewide rate from 6.25% to 7.25%. Local government add-ons vary, but make the average sales tax rate across Texas about 8.25%. The governor's office released a shared statement of support for the legislation from Abbott, Patrick and Bonnen. “Texans are fed up with skyrocketing property taxes. At the beginning of the legislative session, the Governor, Lt. Governor and Speaker laid out an agenda for property tax relief through the passage of Senate Bill 2 and House Bill 2 to limit property tax growth. In addition to that effort, today we are introducing a sales tax proposal to buy down property tax rates for all Texas homeowners and businesses, once Senate Bill 2 or House Bill 2 is agreed to and passed by both Chambers. If the one-cent increase in the sales tax passes, it will result in billions of dollars in revenue to help drive down property taxes in the short and long term." According to a 2015 report by the Texas Tribune, Bonnen, who was then the House Ways and Means Chairman, suggested cutting the state sales tax rate from 6.25% to 5.95% rather than lowering property taxes. The move, Bonnen said at the time, would save families an average of $172 per year. "We should be cutting taxes that provide the greatest return to our economy and our Texas taxpayers, and we believe the plan we are providing you today is the one that does that," Bonnen said. Now, the preferred plan appears to be to raise the state's sales tax as a way to fund a property tax cut. Through the Texas House Democratic Cause, State Rep. Ramon Romero said the proposal supported by Abbott, Lt. Gov. Dan Patrick and Speaker Dennis Bonnen is "dangerous" and "unfair." "It's a dangerous idea, one that increases taxes on working families to disproportionately provide tax cuts for corporations and the rich over everyday homeowners. If Republicans want to truly lower property taxes, then they should join Democrats in supporting an increase in the homestead exemption. That is why I have filed HB 4352, which would double the homestead exemption to $50,000, giving taxpayers an average annual tax cut of $325 directly back into their pockets. An unfair, punishing sales tax hike on poor and working families is not the way to deliver real property tax relief," Romero said. According to The Dallas Morning News, the House is expected to vote on its version of the bill Thursday. The Senate version has passed out of committee but has not been scheduled for a floor vote. "Both bills face considerable opposition among members who are concerned that local government officials say the constraints will hurt their ability to provide critical services like police and fire protection," the Morning News reported. Texas, which has the 13th highest state sales tax, does not have a state income tax.